A few weeks back, I posted a picture of Oliver by Bryan S., Of Dracut, Massachusetts. 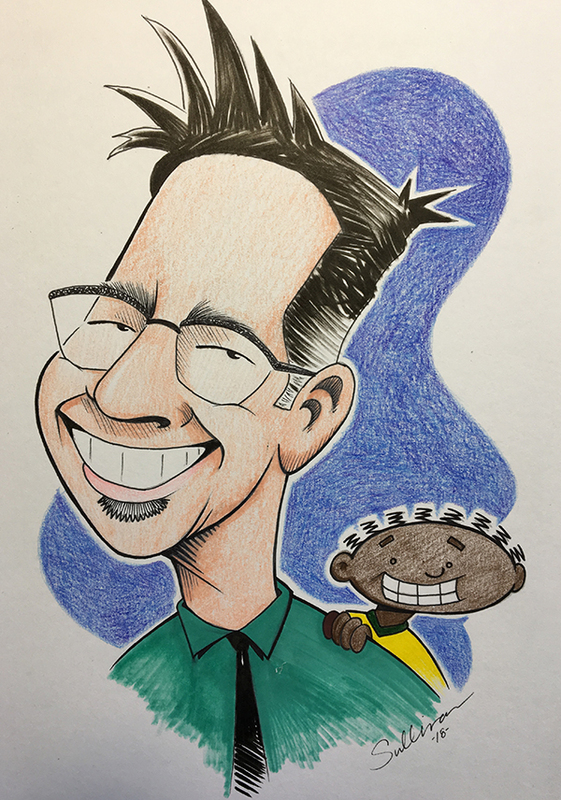 And the drawing skills and cartooning chops that we witnessed in Bryan’s fantastic drawing, are a direct result of his Dad, David S, who sent in this stupendous drawing of me and Chuck. Thanks so much guys!